Each horse, no matter the riding discipline, benefits from working with cavalletti. Dressage and eventing rider extraordinaire Ingrid Klimke explains how training with ground poles and cavalletti is one of her secrets of success. Cavalletti training improves the gaits; promotes rhythm, suppleness, and cadence; and increases the fitness of your horse. 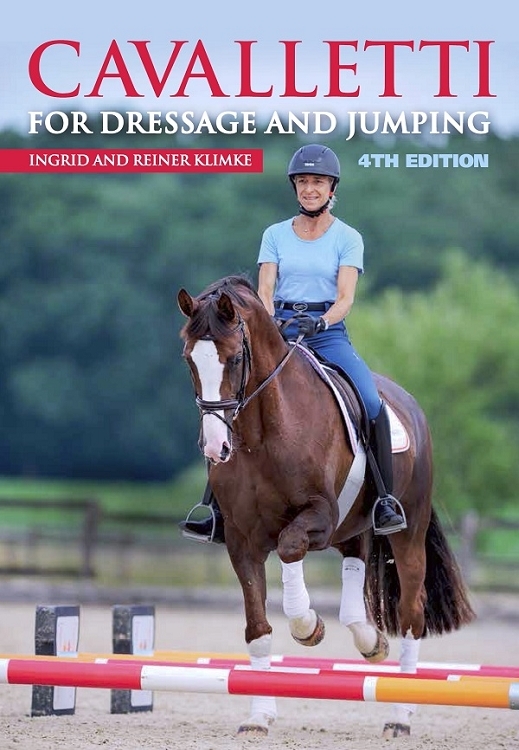 This newly revised guide shows cavalletti work on the longe, provides valuable new ideas specifically for dressage work, and numerous updated diagrams for jumping gymnastics, along with all new color photographs. Ingrid Klimke is an international trainer of dressage, show jumping, and event horses, and currently competes for Germany as an event rider. She had always been able to call on her father Reiner Klimke's experience but has also been greatly influenced by Fritz Ligges, Ian Miller, and Anne Kursinski. She's appeared at five Olympics, from 2000 to 2016. With her horse Abraxxas, she won two gold medals in team eventing, at the 2008 Summer Olympics and the 2012 Summer Olympics. She won a team silver medal with Hale Bob at the 2016 Summer Olympics in Rio. She placed seventh at the 2002 Dressage World Cup Final with the horse Nector van het Carelshof. She lives and trains in Münster, Germany.